Your IH Requires 4 of these bearings in the font end so that the front wheels turn left to right Smoothly. 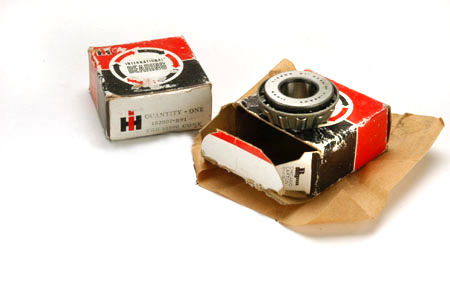 Scout80/800NOS axle pinion Bearings for 80/800. Part number 152807-R91. These were also used on 69 to 72 Pickups and travelalls.